We bring you all you need to enhance the exterior of your home with vinyl shutters. 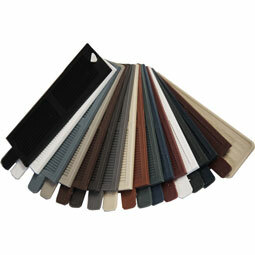 It is important to us that you shop with confidence, and the Vinyl Shutter Color Sampler helps you do just that. Our shutter samples are detailed with both louver and panel styles, and perfect for precise color selection and matching. Material or Color Sample Be sure of color and material. Order a sample today. 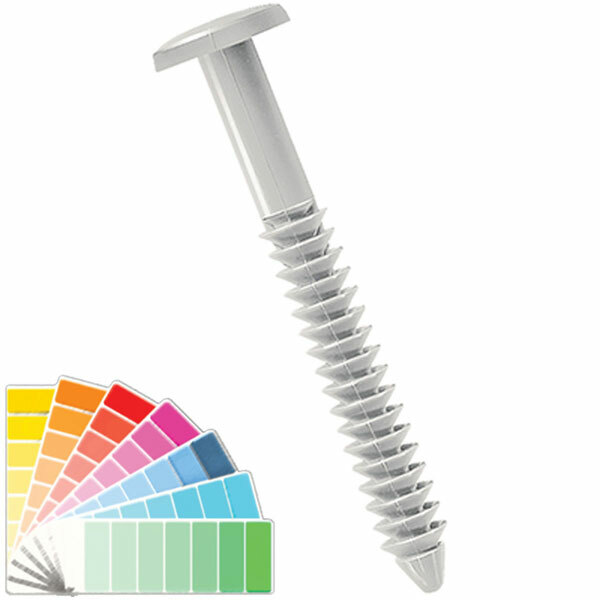 Our shutter accessory and hardware selection includes Shutter-Lok's. Shutter locks are designed for use with our durable vinyl shutters. Vinyl shutters offer excellent solutions to those who are looking for maintenance-free shutters that remain beautiful. We offer vinyl shutters in a full range of rich colors, and color-matched Shutter-Lok's.These Shutter-Lok's measure 3" in length. We are offering them in packs of 8. Shutter-Lok's are easy to install for quick and effective results. Once installed, Shutter-Lok's will need to be cut away to be removed, as they do not unscrew.